Entering kindergarten is a big step in life. 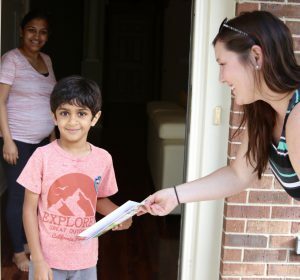 Victoria Kieffer, Ph.D, the principal of Townline Elementary, and several teachers visited the homes of students entering kindergarten. Each student received a new book. The students and their parents were thrilled.